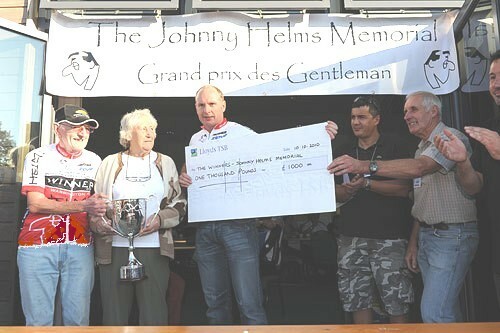 Derek won the Jon Helms invitation 2 up TT riding with Carl Ruebotham. They won on Vet Standard time with a plus of 24.01 minutes. 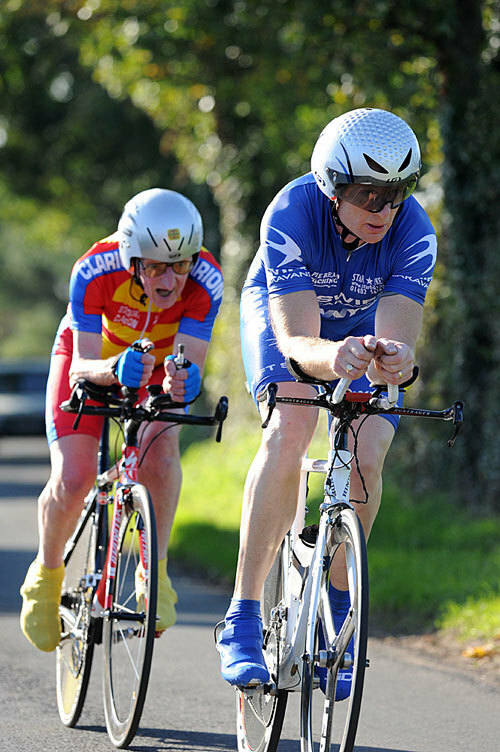 Second was John Woodburn and partner with 23.25. 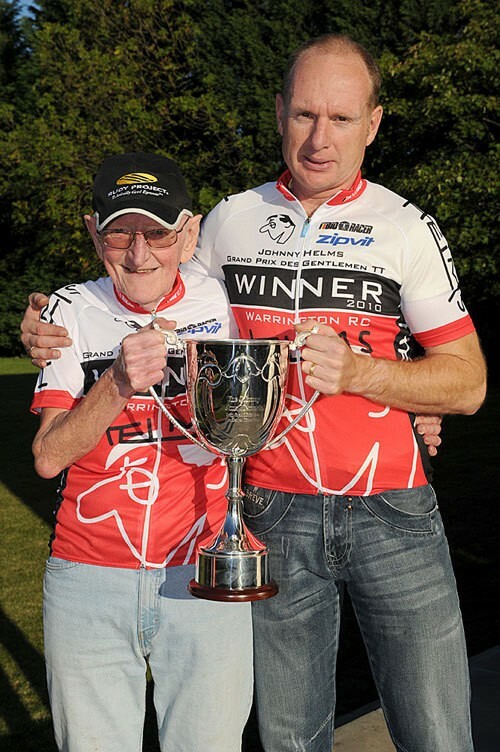 Derek said..." really enjoyed the event - carl soon got the measure of me & rode completely on HIS heart rate - good job he could'nt see mine!! (max 178 ave 152). Shows I'm getting old. Could hold him on the flat but he could have ridden away from me any time it went up (even slightly), so as you can guess NO HILL CLIMB SEASON FOR ME!!"